Update: Kackstadt* has the Hummus Trio. Just saw it yesterday when scanning the supermarket in the basement for new types of beer. The Aranciata soda pop just featured in post below i get from REWE supermarket. 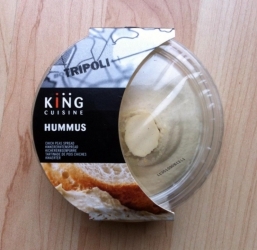 Another recent discovery there is the Hummus by King Cuisine. 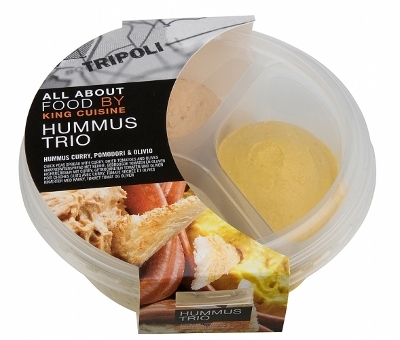 From the various ones i found in supermarkets and health food stores in Germany, this Hummus stands out. Of course, not as good as homemade, it’s still creamy and tastes fresh. Just spice it up a little, add some oil and you have a reasonable priced and tasty Hummus. * I do like it a lot how Berggruen runs his business, just couldn‘t resist the stupid joke. 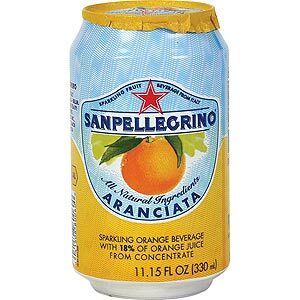 Never been a big fan of soda pop, but the Aranciata of Sanpellegrino is just perfect. Not too sweet, smooth bitterness and very refreshing. Thumbs up! 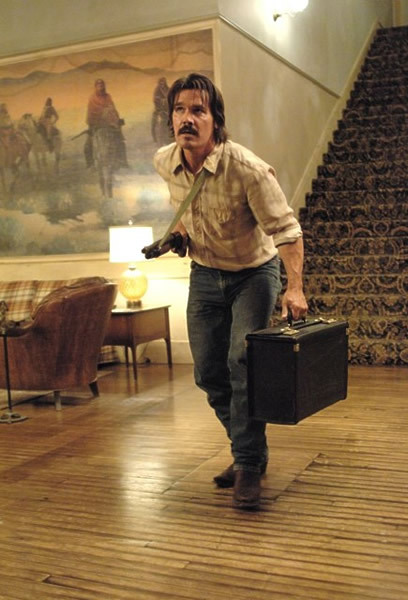 While the adaption of The Road is crap, one can easily see what the Coen-Brothers are capable of when watching No Country For Old Men. Already an amazing book, the movie doesn‘t twist the story, but adds so much making it a lot more than a bleak adaption. Watch this one, Mr. Schlöndorff. Heat by Michael Mann is an almost flawless masterpiece. Beautifully shot and the selection of the music fits perfect. One of the most remarkable tunes is New Dawn Fades (originally by Joy Divison). Never been much of a fan of the The Band, but this song really got me. Howlin‘ Wolf is just impressive. This performance of The Isley Brothers just couldn‘t go unmentioned.